Pomander balls are your new tradition! 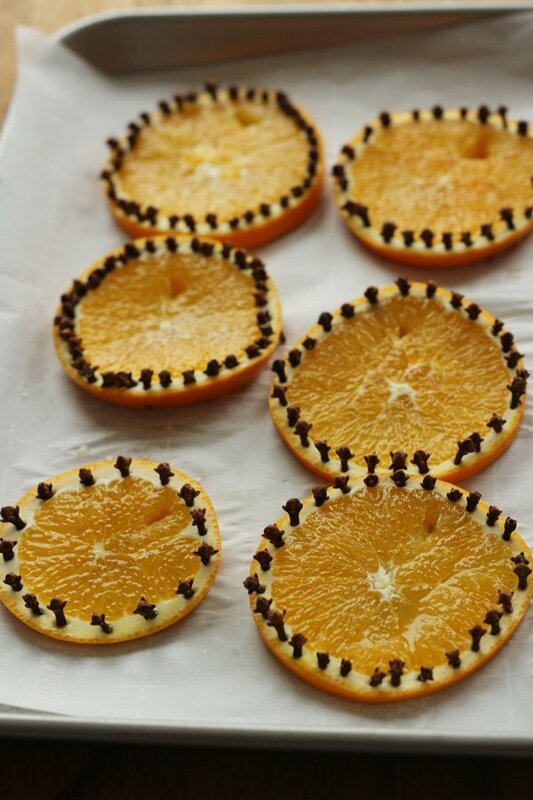 Instead of baking cookies (and eating them) play with oranges and cloves. This is the original aromatherapy from the mid-13th century and very accessible (unlike trying to read about the mid-13th century). 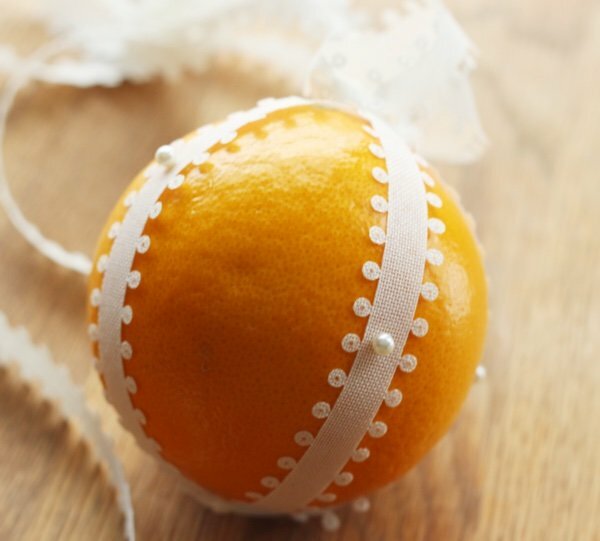 All you need is navel oranges, cloves, pearl headed pins, and pretty ribbon. Because I thought I needed many cloves, I bought a pound off of Amazon but that was crazy. I now have enough cloves for the rest of my life. You can definitely get away with 1 cup depending on how many you make. 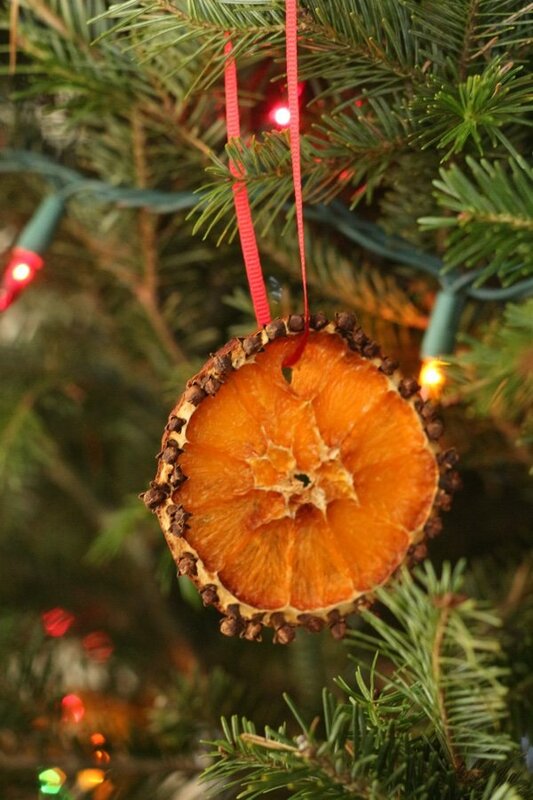 First, I would like to introduce you to the orange clove ornament. 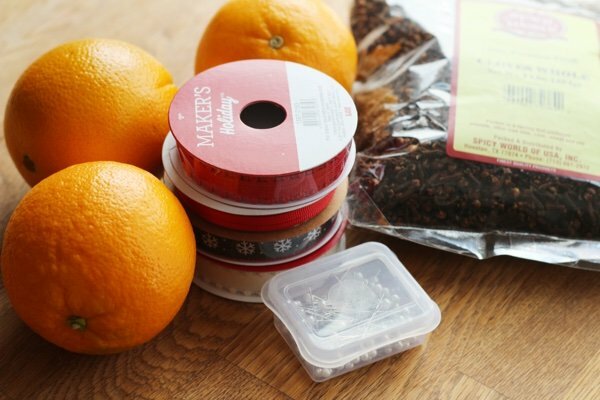 You simply slice the orange about ½ inch thick, stick cloves in the outer skin, and cut a small hole for the ribbon. Then, you place them in a dehydrator or an oven at 200 F for about 6 hours until they are dry. 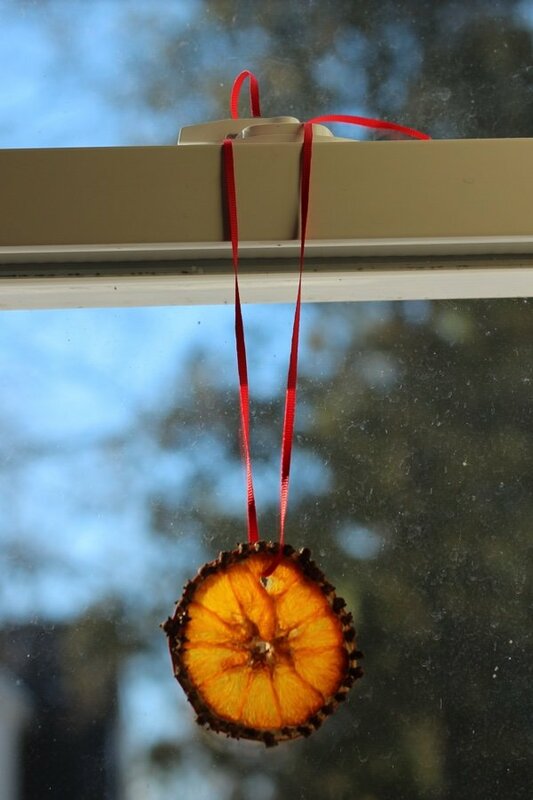 String it on a ribbon and you have a delicious smelling ornament! I hung up mine in my window and can you see how it looks like stained glass. My kids thought I was nuts. As you can see, I really need to go outside and clean my windows. It is currently 10 degrees so I am leaving that task for spring. I also hung one of them on my tree which again my kids thought was nuts. Christmas is an aromatherapy time of year – pine, orange, cloves…. 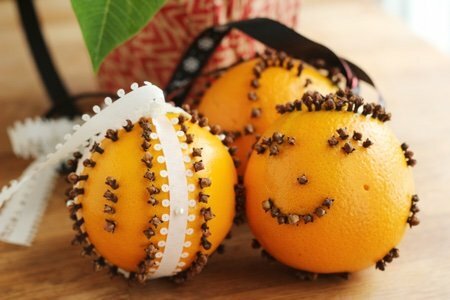 You can also make the more classic pomander balls. You buy navel oranges and then pin ribbon on them to make 4 sections. Leave some ribbon at the top so you can hang them. Then you make your own pattern with the cloves. You don’t even need the ribbon (you can see my daughter made a funny face). I strung mine up in front of my fireplace to dry. After you are finished pushing the cloves in, you can give them away as gifts or hang them up. If you decide to put them in a bowl, you need to use some wood shavings in the bottom of the bowl or something that will keep them from getting wet. They will mold if they are in a humid environment (they will grow mold on the bottom if they are put against a bowl). You can also hang these up on your tree! When they dry out, they will continue to smell good so people put them in their closets. 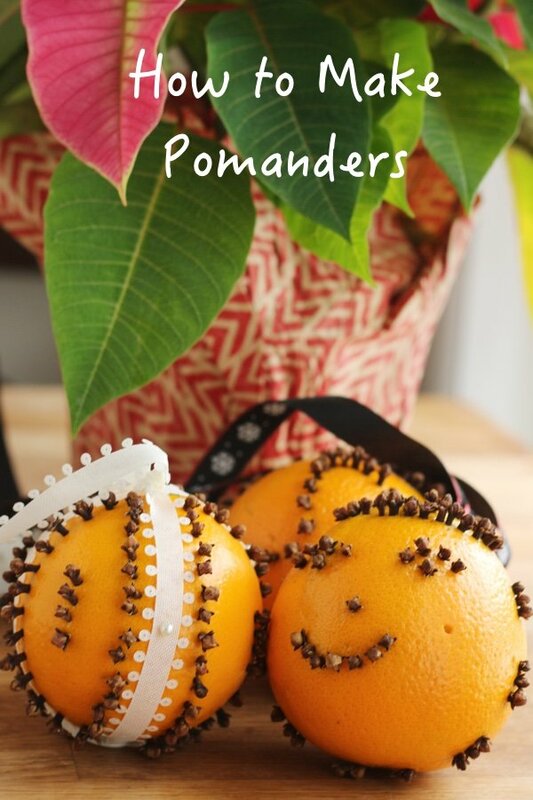 Have you made pomander balls? Please share. I had forgotten about these. I remember my mother making them as gifts for Christmas one year. Her fingers were sore for a long time after inserting all those cloves. I do remember how wonderful they smelled. Nice job Lisa! Very sweet and adorable smiley face! I made these years ago too. After my fingers got tired, I pre-poked holes in a pattern with a knitting needle. It made the job easier & less broken cloves. I do this today for mulled cider (in thick slices). Problem is I still must have certain Christmas cookies, LOL! Cloves actually are a natural preservative! If you cover the entire orange with cloves, this should keep it from getting moldy for a very long time. I remember working to cover the entire ball with cloves! Less chance of rot or mold and as they dried the entire room smelled heavenly! Almost 75 now and started doing this around 7 or 8 ! I had also forgotten about these! I did these when I was a Girl Scout, long ago. But they last for ages and smell wonderful, especially if the total orange is covered. But I like your window hanging slices more,Lisa. They would look lovely with the light shining through them. I remember making these when I was a Brownie or Girl Scout. The oranges I found were too big, so I used the tangerine cuties. A little different smell, but still very nice. Gave them to my coffee group friends as a gift. Next year, maybe we'll all get together for coffee and make a bunch together. I swear I smelled oranges while reading this on the stationary bike at the gym !! I haven’t seen these since I was a kid (55). My mother used to make these each year for Christmas. Thanks for triggering the memory.